We love this ultra modern minimalist wall shelf! Fans of Hiroshi Sugimoto's Coffin of Light (Benesse House) and Donal Judd's art installations will find much to like in this ultra modern illuminated wall shelf. 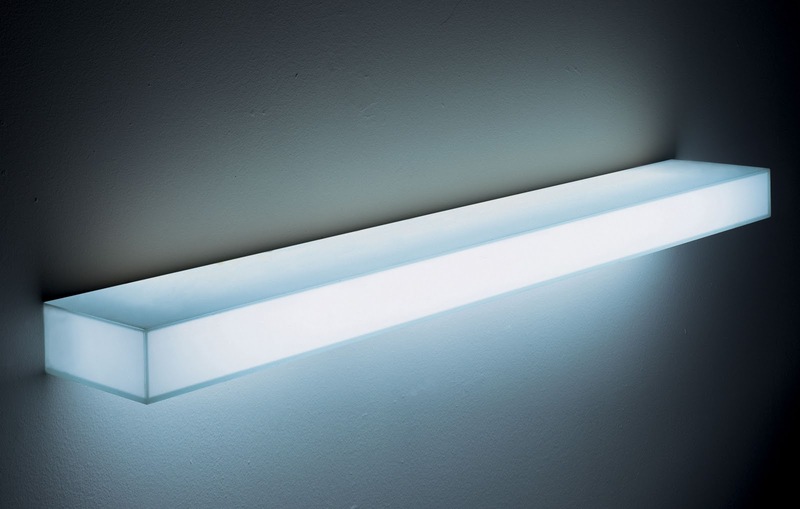 Light-Light is an illuminated modernist light vessel which can function as a wall shelf. This illuminated glass shelf presents light in itself as art. A pure minimalist sculpture that has a practical purpose as well. 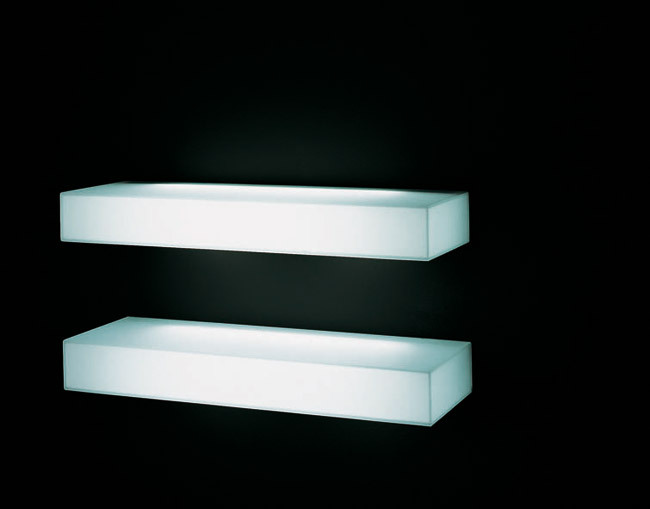 This minimalist wall shelf balances the qualities of sculpture and illumination. 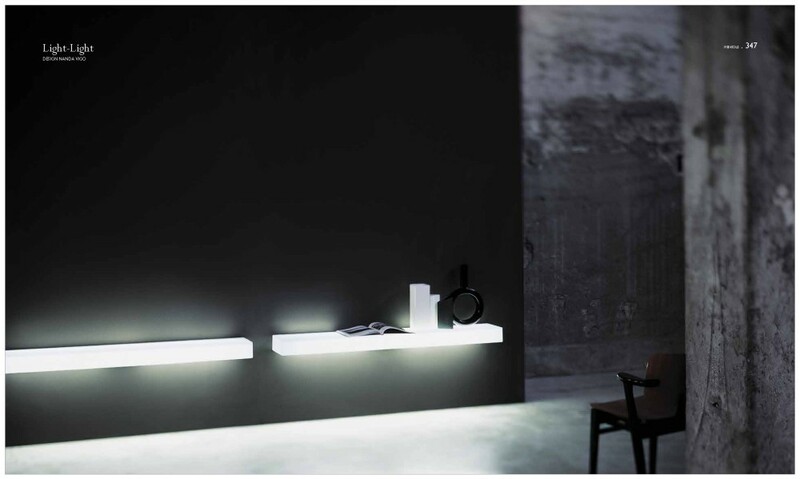 The Light-Light illuminated wall mounted shelf was designed by Italian designer Nanda Vigo for Glas Italia in Macherio, Italy. 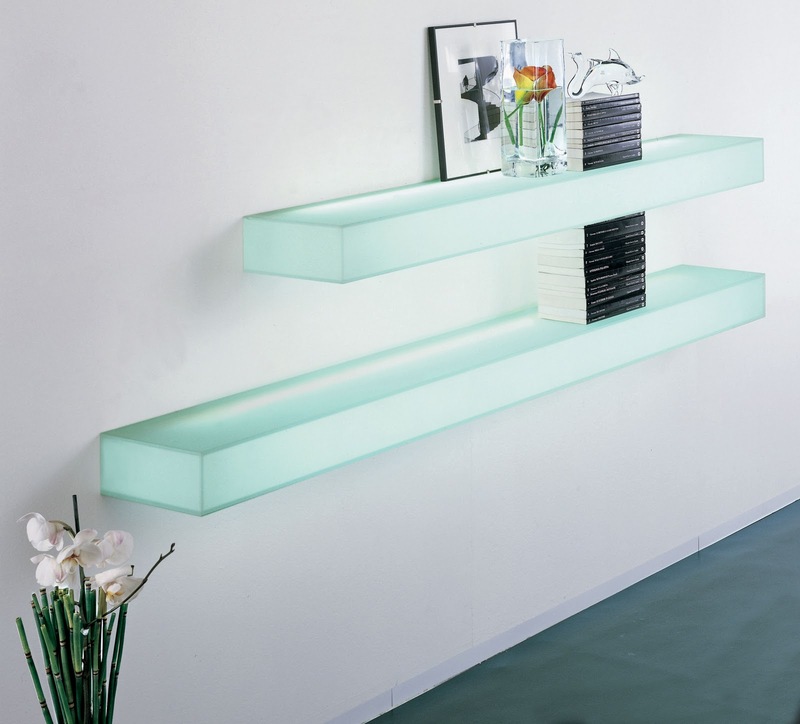 This wall shelf is made of 0.2" (6mm) bonded thick tempered glass plates with a 45" chamfered edge. The glass plates are opaque white and they are internally illuminated with a neon light source. The Light-Light is a brilliant wall mounted shelf that serves several purposes, a minimalist light sculpture that provides a storage place or display space while illuminating the room and items on the shelf. Select from three sizes.